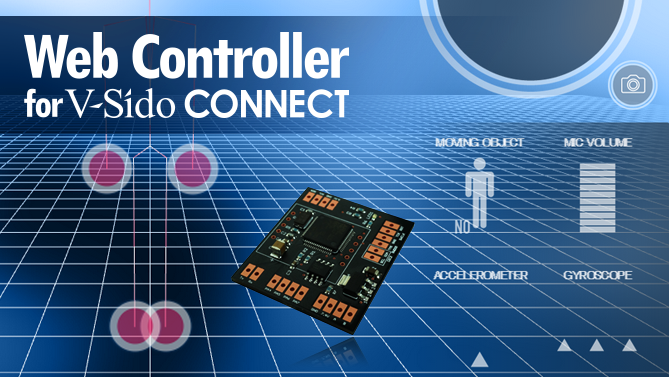 “V-Sido CONNECT” is the robot controller board which mounted a part of V-Sido OS function on. With V-Sido CONNECT, you can efficiently develop robots which have V-Sido OS features such as real-time bipedal walking, stability for sudden shock or unstable floor, etc. V-Sido CONNECT is mainly used for evaluation of V-Sido OS or prototyping of robots work with V-Sido OS. The Commercial licence agreement is mandatory if you sell or use the robots which developed with V-Sido CONNECT for commercial purposes. This movie presentation simply introduces steps to control the robot “GR-001” using V-Sido CONNECT, Bluetooth unit and Intel Edison. 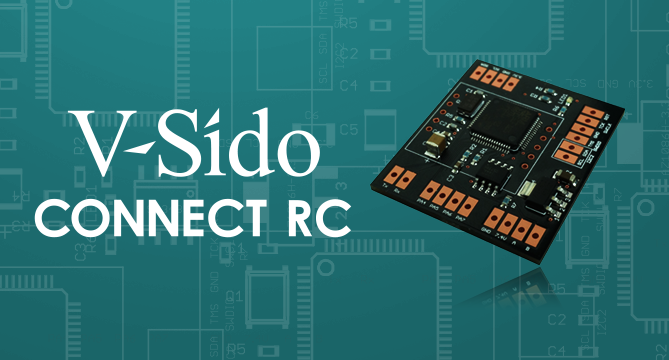 V-Sido CONNECT RC is a Release Candidate of V-Sido CONNECT. Some functions which are planned to be embedded onto V-Sido CONNECT official version are restricted. Web Controller for V-Sido CONNECT is a system which enables remote operation of a robot connected to V-Sido CONNECT over the Internet. Currently, we sell V-Sido CONNECT RC(Release Candidate) version only in Japan. Please contact us if you have any questions.